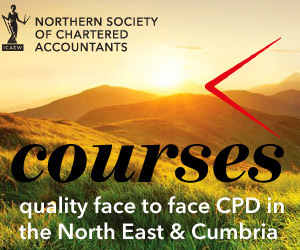 The Northern Society of Chartered Accountants (NorSCA) is delighted to celebrate the achievement of our students in the North East and Cumbria who have now successfully passed their Advanced Stage ICAEW exams at the November 2014 sitting. We are also pleased to announce details of those students who have achieved a place on the Northern Society Order of Merit. This shows students who have attained the highest overall aggregate marks across all papers in the Advanced Stage ICAEW exams during 2014. All students who have now become exam-qualified, and prize-winners, will be invited to celebrate their success with family and friends at our annual Northern Society of Chartered Accountants Graduation and Prize-giving event which will take place in King’s Hall, Newcastle University on Saturday 18 April 2015. Patrick Agnew, James Allen, Christopher Arkless, Thomas Baird, Nicola Bardini, Emma Bell, Victoria Bradshaw, Rachel Brown, Timothy Brown, Lauren Cannar, Victoria Carroll, Sarah Coburn, John Craggs, Catherine Crockett, Christopher Dean, Ciaran Doherty, Rachel Edwards, Rachel Farrar, Laura Fawcus, Jonathan Fell, Harry Finister, Liam Ford, Damyan Georgiev, Thomas Glithero, Seth Glossop, Kieran Graham, Joanna Grievson, Iain Hamill, Andrew Henderson, Paul Hobbs, Omair Jamal, Stephen Knipe, Jane Lamb, Amy Luckett, Khalil Malik, Andrew McAloon, Emma Morton, Christopher Murther, James Muscat, Jayashree Naveen, Sahil Nayyer, Christopher Newman, Sanjay Pugal, Sai-Seema Rehan, Steven Robinson, David Roche, Gareth Rowe, Holly Scanlon, Andrea Scott, Chloe Stafford, Andrew Staszek, John Story, Thomas Upton, James Wanless, Matthew Weaver, Carol Whitehead, John Wilkinson, Ross Wilson, Helen Young, Alan Zammit-Maempel, Yanfei Zheng.